Soho clothing emporium Flying A will donate $5 to the political campaign of either presidential candidate when you buy a $25 shirt bearing his likeness. So, uh, is one shirt selling better than the other? When we asked a store clerk, she laughed at us. "We haven't even re-ordered McCain shirts," she said. 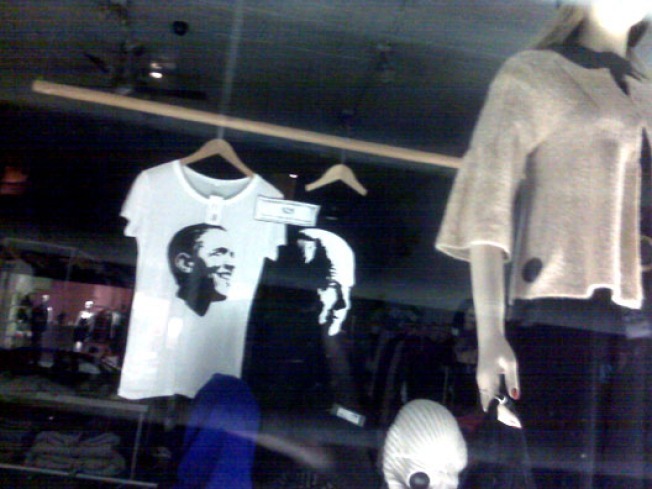 The current tally: 252 Obama tees have sold in both men's and women's sizes. As for McCain shirts, they've sold all of 22.